At some point in my childhood, like many little girls, there was something I wanted really badly (aside from being a mermaid, or a princess, or a mermaid princess) and that was a magic wand. Why? Well, why wouldn’t you want a magic wand? I could make pretty dresses, unicorns, and anything else I wanted appear in a blink of an eye. But alas, decades later and still no magic wand. 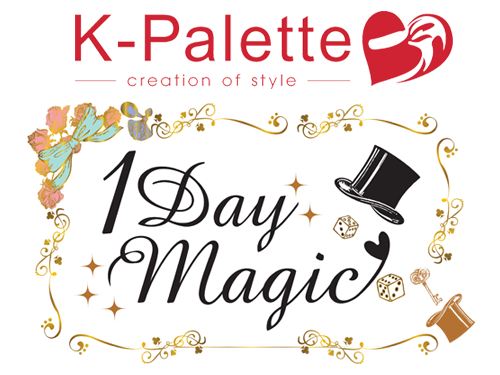 Thankfully K-Palette is here to give us what could be the closest to magic wands we’ll ever get with their new 1 Day Magic collection! 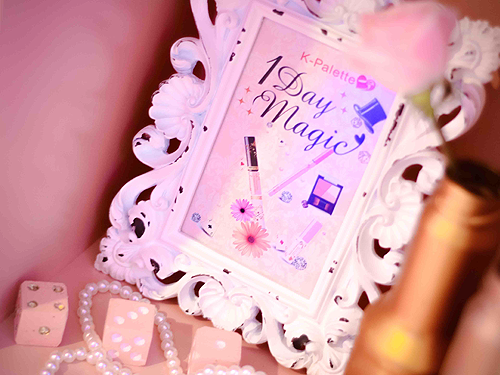 To experience just how magical the new products really are, I happily attended the K-Palette 1 Day Magic event held a couple of weeks ago at R Space Events Venue. The moment I arrived at the venue I felt like I had stepped into a Disney princess’ castle that was decked out expectantly with a magical theme. 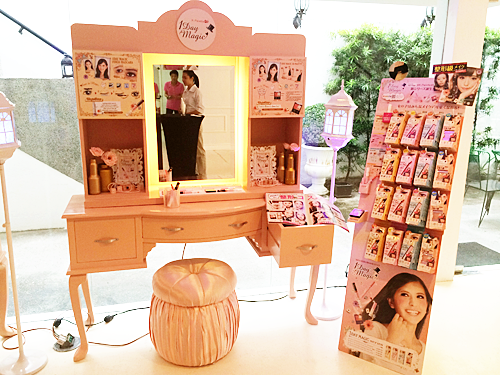 There were pretty vanity tables just like this lining one side of the room, all equipped with the new 1 Day Magic products for us to try! I know. I’m teasing you, aren’t I? I promise I’ll get to the actual collection in a bit! 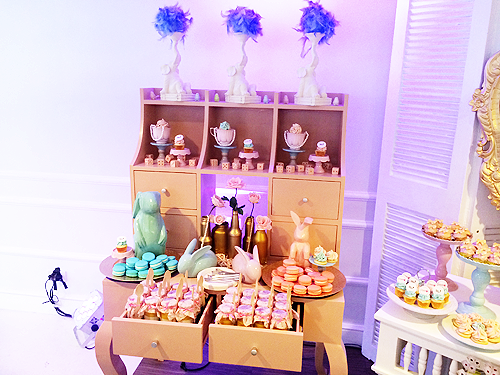 Of course, it wasn’t just the lovely new products that caught my attention, but this amazingly cute display of treats that literally looked much too good to eat. 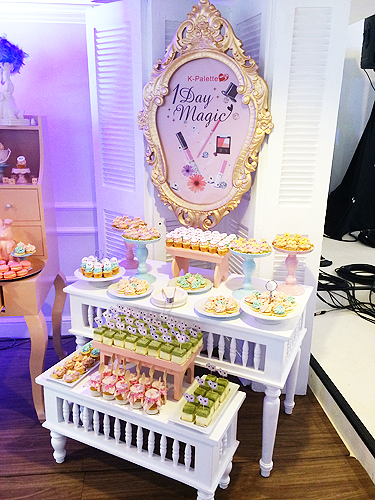 It had my favorites too: pudding, macarons, and cupcakes! The also ultra cute stage! 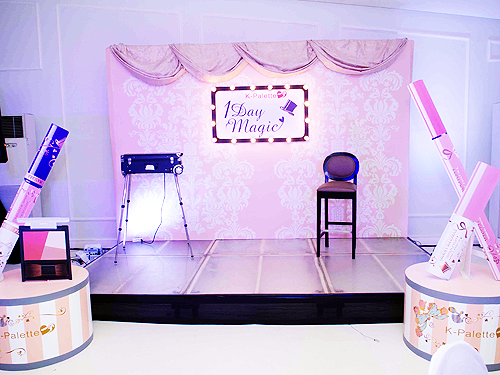 I love the giant 1 Day Magic product cut-outs and how pink and pastel-y everything was. 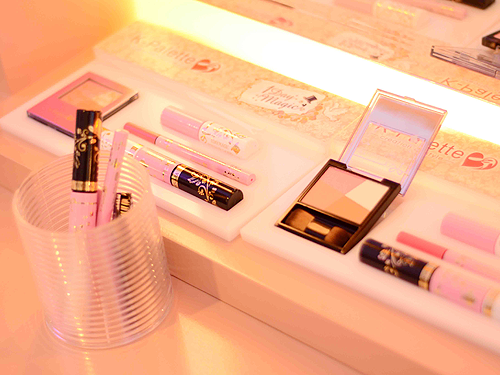 Yes, that’s right, that makeup kit and stool there means a makeup demo was in store for us! 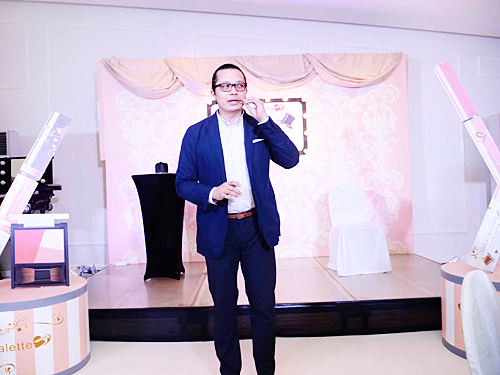 The event was hosted by none other than the always adorable and bubbly Karrots Nazareno. I adore her! She’s so funny too. 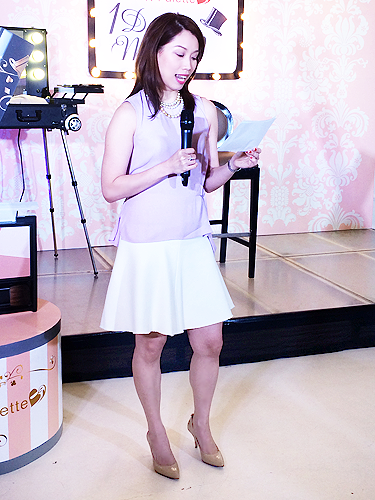 Cheryl Chua (affectionately known as “the kikay queen”), head of the sole distributor of K-Palette here in the Philippines, Beauty Box Corporation, welcoming us all. 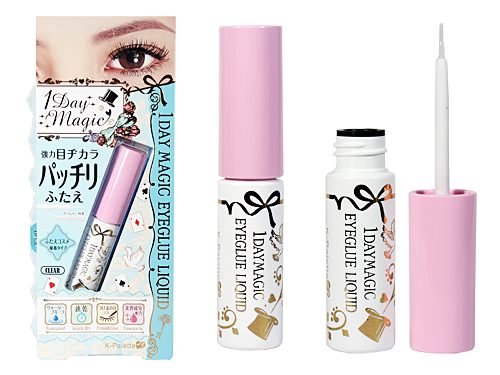 K-Palette Japan's makeup artist Sayaka Nagashima then demonstrated how to use all of the 1 Day Magic products to create the ‘kawaii (cute), dolly’ look. 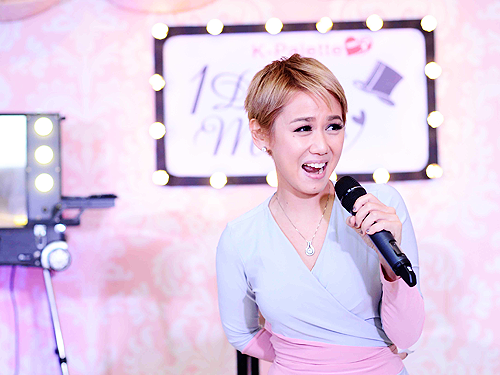 Doesn’t she look super cute…oh sorry, kawaii? 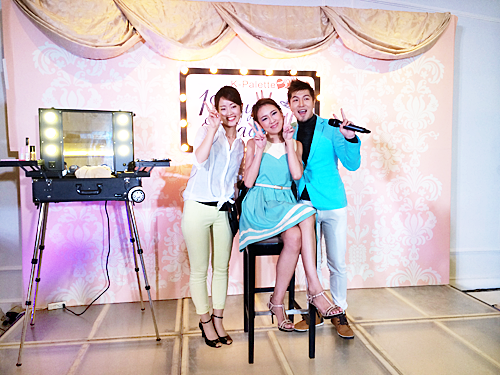 The model, who is Filipina, almost looks Japanese now after her makeover! I’m digging the purple eyeshadow Sayaka used on her to really make her eyes pop. 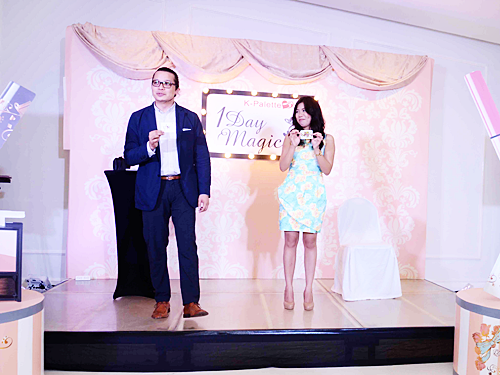 What’s a magic-themed occasion without a proper magic show, right? Professional magician Erik Mana showed us a few tricks which everyone loved. I even got to participate in one of them! That’s Donna from My Lucid Intervals helping him out during one of his card tricks. Alright, I think I’ve taunted you long enough. 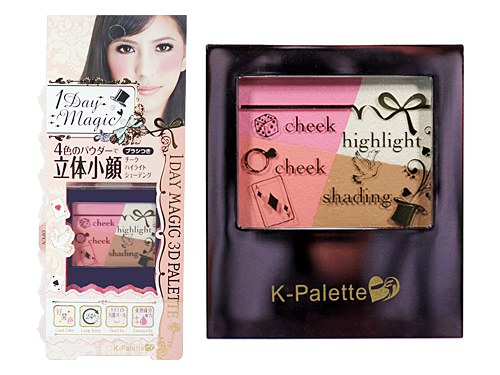 Now’s the time for me to introduce you to the K-Palette 1 Day Magic collection! 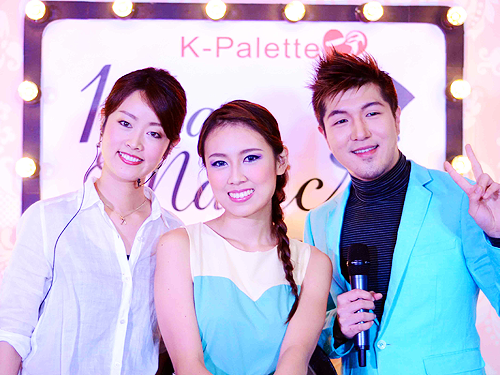 K-Palette’s newest collection consists of four products. 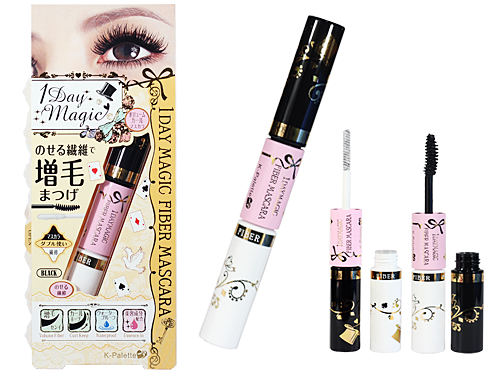 The 1 Day Magic Fiber Mascara, 1 Day Magic Liquid Eyeliner, 1 Day Magic Eyelid Glue, and 1 Day Magic 3D Palette. Why “1 Day” though? 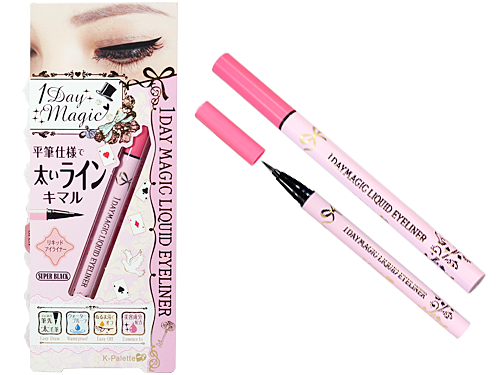 If you know anything about K-Palette it’s that they’re all about their long-lasting makeup, so “1 Day” simply means they’re supposed to last the entire day. 24 hours to be precise. Plus all of them, except for the 3D Palette, are waterproof. We were told we could even go swimming with them! Now how’s that for magic? There you have it. Are you as wowed and excited by this collection as I am? Those of us who attended got one of each as part of our press kit and I can’t wait to review all of them! Which one do you guys want to see me try and talk about first? Let me know in the comments! 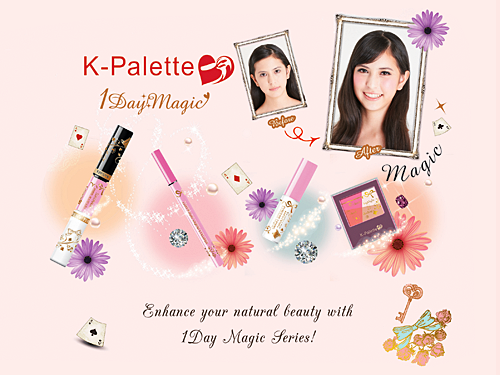 The K-Palette 1 Day Magic collection is now available in all Beauty Bar outlets (and on their official website) and Rustan’s The Beauty Source.